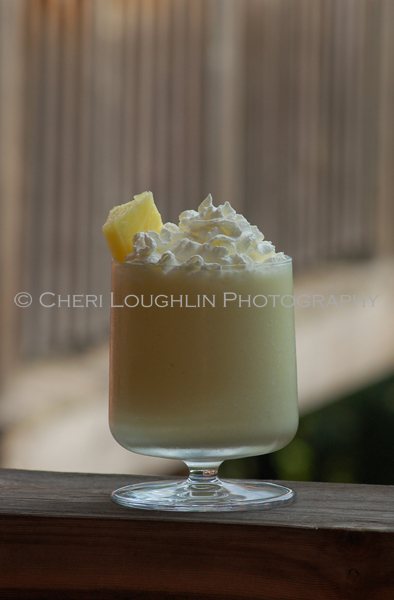 Recipes and photos provided by brand representatives unless otherwise stated. All comments, opinions, and tips are my own. Pairing food and wine or spirited cocktails is nothing new. 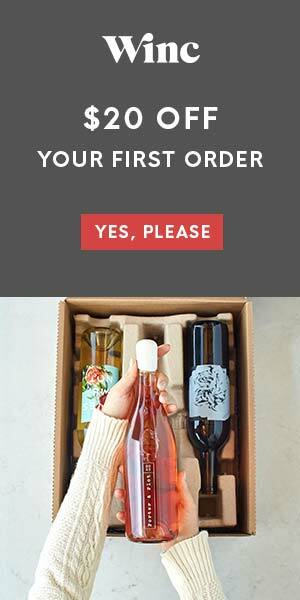 Neither is incorporating flavorful wine and spirits in with the food itself. I like to add dry sherry to my creamy jalapeno chicken soup. Mmm, mmm good! It’s also yummy to simmer short ribs in a dark, delicious red wine. How about Laphroaig Quarter Cask as a marinade for pork loin? This has all happened in my kitchen, and more! But what about every day, feel good food? You know, burgers (think bourbon!) and my ultimate weakness; nachos. I think I could totally survive on nachos for the rest of my life. 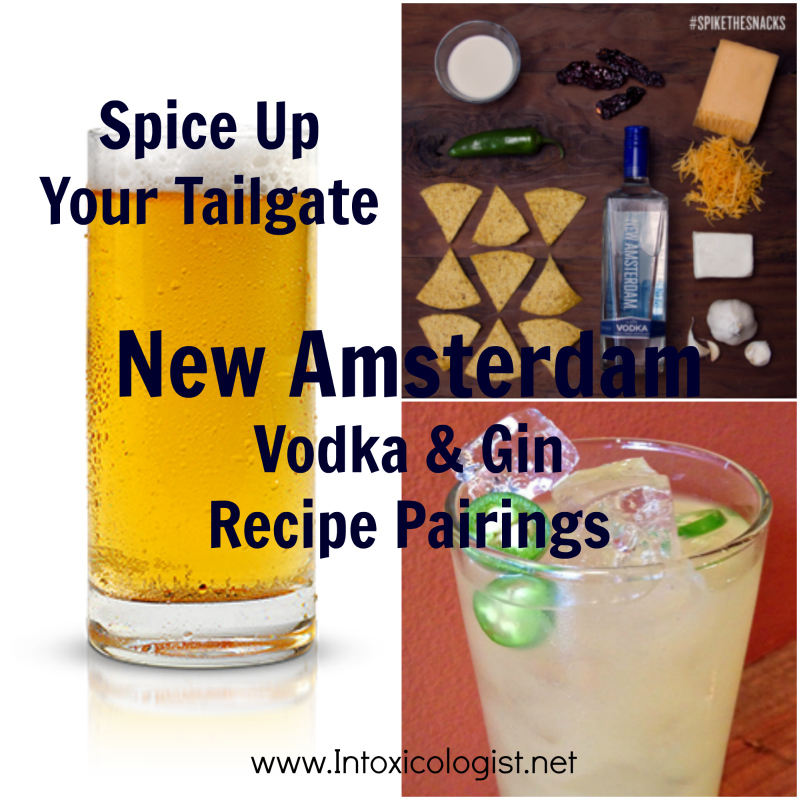 New Amsterdam Vodka kicks the tailgate game plan up a notch with their version of Vodka Nacho Cheese. Yep. It had to be done. To make this super easy and quick to make try these shortcuts: Purchase garlic already minced in jars. Diced jalapeno peppers can be found in cans next to green chilies. They are much easier to use without worrying about getting jalapeno juice all over your fingers. If you can’t find chipotle chilies, opt for a can of chipotle chilies in adobo sauce, also found close to the canned green chilies and jalapeno peppers. I prefer light cream cheese because it mixes easier than regular cream cheese. Use either, just bring it to room temperature before mixing to speed up the process. Shredded pepper jack cheese or shredded Mexican cheese mix could also be used in place of sharp cheddar. Possible Add-ins & Toppings: Add cooked sausage, cooked seasoned ground beef, or diced white onions to mixture while cooking. Add fresh chopped green onion, fresh chopped tomato, crumbled bacon and dollop of sour cream to the top of the nacho cheese sauce over a plate of tortilla chips. Slow Cooker Directions: Spray the inside of a slow cooker with non-stick cooking spray. Place all ingredients except for chips into a slow cooker turned to low heat. Place lid on pot. Stir frequently. Once all cheese is melted, turn slow cooker to warm setting. Dip directly from the warmed dish or pour over a plate of tortilla chips. Stovetop Directions: Place vodka, half & half, cream cheese and shredded cheese to a large saucepan over medium low heat. Whisk frequently while mixture melts and is completely smooth. Remove from heat and add in garlic, diced peppers and chilies. Serve warm with your chips of choice. Microwave Directions: This is the easiest of all. 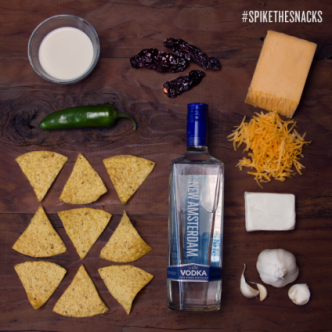 Place vodka, cheeses and garlic in a large heat-proof bowl. Heat in microwave for 1 minute at a time, stirring after each minute. Continue heating until mixture is completely blended and smooth. Add in remaining garlic and peppers. Stir. Serve warm with your chips of choice. We wouldn’t leave you hanging without a few drink choices to pair with the perfect tailgate food. This time we’re using gin. New Amsterdam gin is smooth, leaning toward more fruit than fir tree flavor. It’s excellent for mixing. 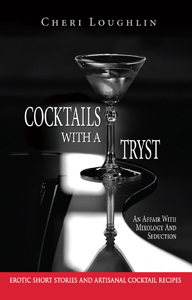 One of my favorite cocktails using this gin is a very involved Rubyfruit Martini that I’ll share very soon. In the meantime, try this beer and gin cocktail pairing. Pour ingredients into a chilled glass. Add ingredients in order given. Stir briefly. An orange or lemon twist would go nicely with this, but is completely unnecessary for ease of use. My idea of paradise is lying on a sandy beach under an umbrella with gorgeous sunshine reflecting off the deep blue ocean. Someone to bring me drinks would be nice, too, but beggars can’t be choosy. Highland’s Paradise is a terrific combination of sweet and spicy which also makes it a good cocktail to pair with nachos. Pineapple and jalapeno are ideal to pair together. Sweetness from the pineapple sweetness mingles with the pepper’s heat for a spicy, smooth finish. If you’ve never tried pineapple and jalapeno together, you’re missing out. This flavor pairing is also makes an out of this world Margarita. 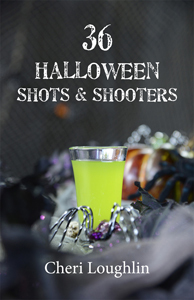 Place vodka, juices and jelly in a cocktail shaker with ice. Shake vigorously to completely blend all ingredients. 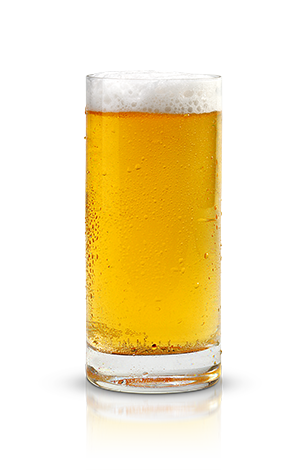 Double strain into a highball glass over fresh ice. Add club soda as desired. 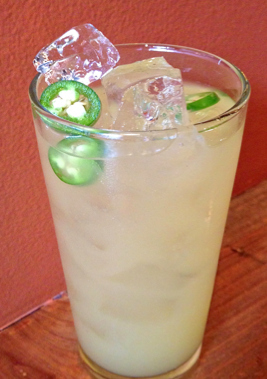 Garnish with a few jalapeno slices if you dare.